Calling for families! 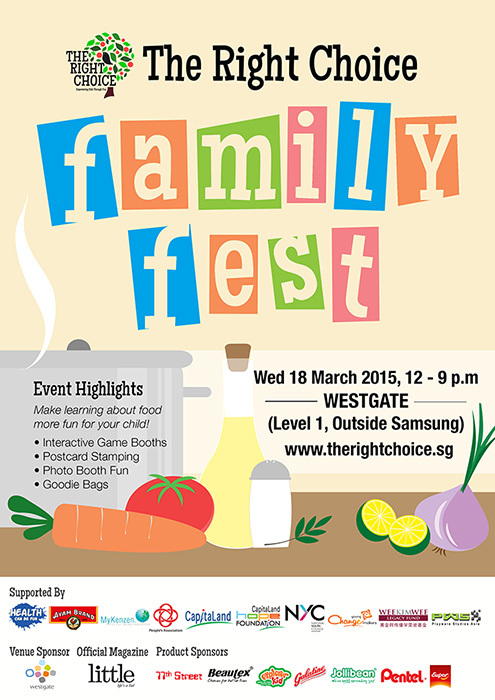 Have a blast at The Right Choice Family Fest, where exciting games and activities awaits. Themed around the topic of healthy eating, it will be a test of the children’s skills, senses and smarts, as they strive to emerge victorious at the games. Pick up tips on food and nutrition along the way, and learn more about the different food groups as you and your family navigate the maze of activities. At the end of the day, make The Right Choice when it comes to you and your family’s food choices.